Arsenal played Crystal Palace at the Emirates Stadium on New Year's Day and succeeded in giving their fans something to be happy about. 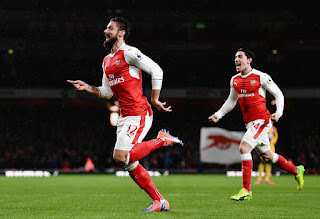 Olivier Giroud's seventeenth minute scorpion flick, together with Alex Iwobi's second half header made sure the Gunners won their second consecutive game after previously losing two in a row. Being their first game of the year, supporters and players were in joyful mood as they saw their side step up to third spot on the league table. 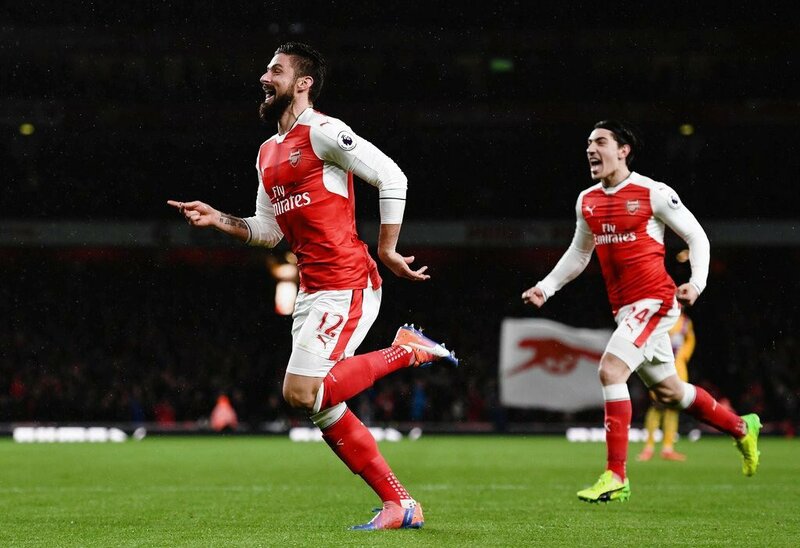 In reaction to the win and Olivier Giroud's goal, Per Mertesacker, Nacho Monreal and Hector Bellerin took to Twitter to drop tweets few minutes after the final whistle was blown. New Year, first game, first win, first headed goal by Alex Iwobi in Arsenal colours, scorpion flick from Olivier Giroud, 2-0 the final score, clean sheet for the Gunners,three points in the goody bag, one step higher on the league log. Arsenal will hope to follow up their last two results when they face Bournemouth in less than two days from now.